The Military-Family: It is Military Appreciation Month at Home Depot Year Round! One of the challenges of military life is relocation. Sherre added the Home Depot Team recognize the need for spouses, reservists and others who must move to find jobs in a new store! 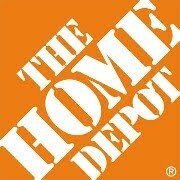 Employment continuity is a critical factor for growth and Home Depot has over 2200 locations. More than likely there is a store outside your installation gate! Ms. Maclin could not think of one example where Home Depot could not help an employee who relocated from her district to find a job in another store or location. Right now, she had an employee who was PCSing from Aberdeen Proving Ground to Ft Carson and a job awaits the spouse after the family is settled in! What a benefit! From a Home Depot press release: “The Home Depot has been recognized as one of the top ten military employers by The Department of Defense, GI Jobs Magazine and Military Spouse Magazine. The Company routinely participates in hiring fairs designed specifically to recruit military veterans. For a current list of military hiring fairs, please visit http://careers.homedepot.com.edgesuite.net/event-calendar/event-calendar.html.” I went to the link and found fair events listed specifically for veterans! Who else gets hired? Joe McFarland, an enlisted Marine during Desert Storm, was hired as an hourly employee and is now President of the Western Division of Home Depot! Currently responsible for leading the sales and operations of more than 440 stores staffed by 78,800 associates throughout 13 Western states, Joe began his career as an electrical sales associate in southern California. One of approximately 35,000 veteran employees in this company with 1,500 on active duty at any given time! Speaking of active duty for reservists and guard folks; Home Depot continues benefit packages (no disruption in health benefits is great) and equalizes pay if there is a difference! Sherre said when she heads home at night, she thinks of the frazzled customer with a leaking water heater or sink or the dream of new landscaping who came into their stores that day and walked out with their concerns met or vision complete! (On a personal note, I just had the opportunity to do this very thing with a broken water heater and the help I received during the replacement process was exceptional!) She also commented that she receives satisfaction from watching her associates develop! With 1200-1500 associates in her district she wants to be involved in their career development. Their loyalty, passion and willingness to learn and develop their careers is an inspiration for her! We also talked about the Home Depot Foundation and their commitment to assisting military housing needs with their grant program and I will post a separate blog about their efforts to assist Fisher Houses, Volunteers for America and the Mission Continues both with national and local efforts to assist veteran housing issues. Thank you so much Home Depot for recognizing the many sacrifices made by the American military community!! A big salute! Lowe's also offers a military discount year-round for those who may be located closer to one of their stores instead. really good article thanks for share.